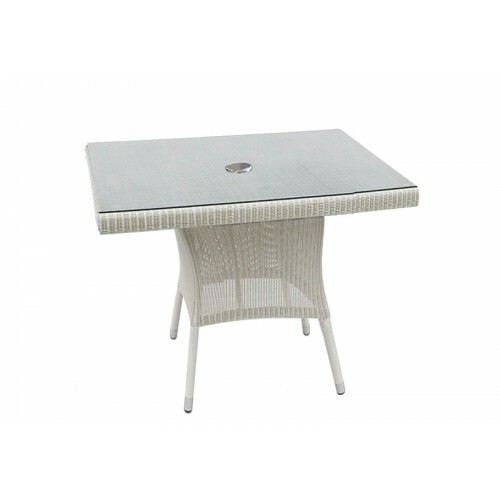 This modern outdoor dining table is a convenient and superb choice, and is simply an excellent piece of quality furniture. 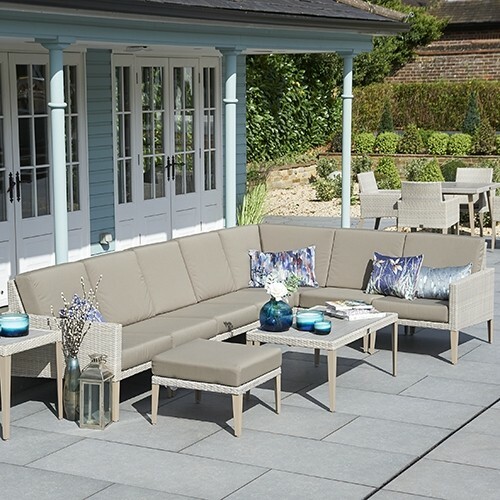 The totally weather resistant construction is made up of a powder coated aluminium frame, patly finished in all weather rattan and a contempoary high pressure laminate (HPL) table top that will look great, year after year. 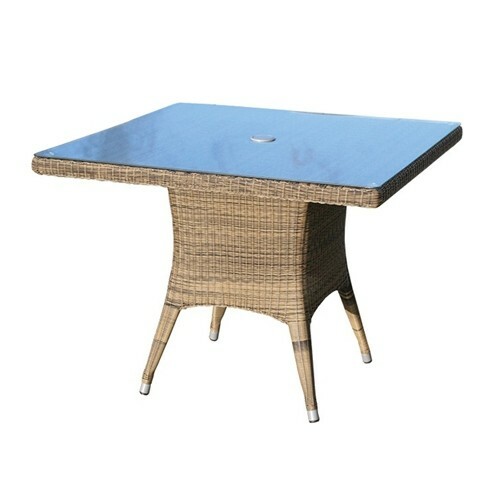 This table will fit favourably into your lifestyle with great features suited for outdoor use. 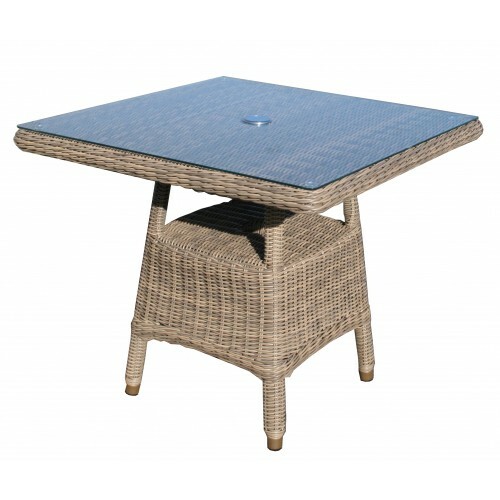 The legs are adjustable so that the table will sit firmly upon uneven ground, and the tabletop is fitted with a hole for a stylish parasol for afternoon shade. 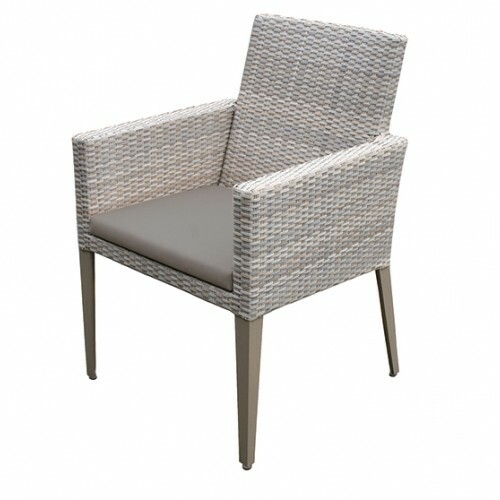 The rattan weave trim ties the stylish look together and complements other items in the Hampstead collection. 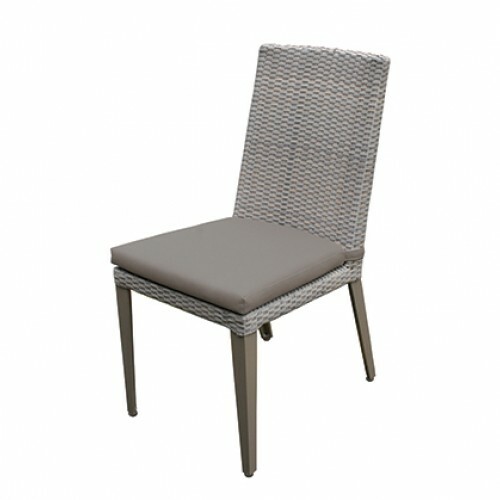 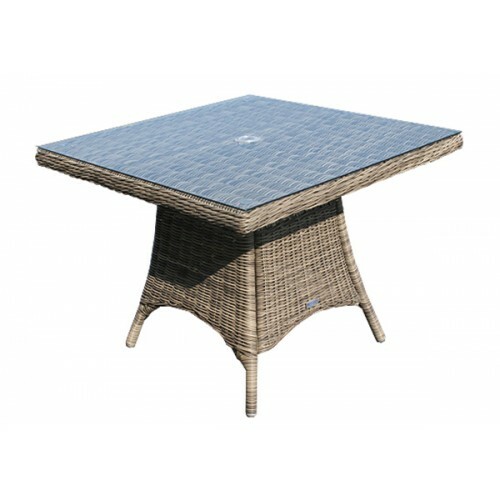 This square table comfortably seats four and is ideal for bringing a family together in the garden or conservatory.